More of the chocolate malt powder, I think. Verdict after finishing the quart: This may be the family’s favorite one yet. I’m overcoming my lifelong aversion to ice cream with stuff mixed into it. 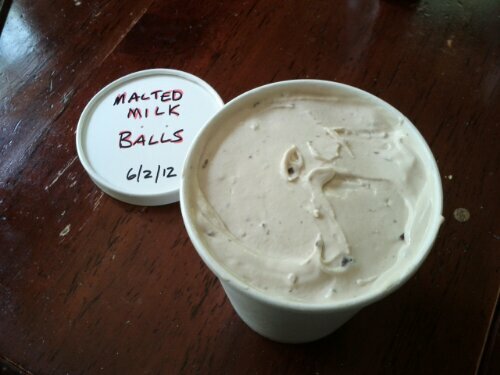 This entry was posted in Food and tagged Ice cream. Bookmark the permalink.